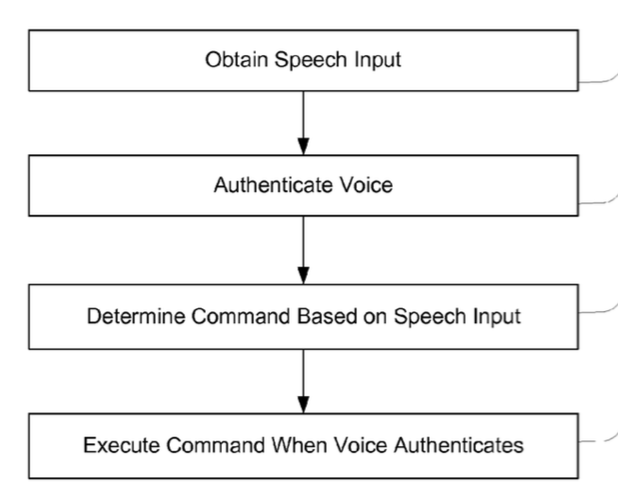 Apple’s new patent “Device access using voice authentication” describes a novel mechanism for unlocking a locked device through a voice authentication process. Apple’s Touch ID feature makes it very easy for users to get into their device. Think of this patent as a vocal fingerprint, Voice ID. Instead of using your fingerprint as a passcode, this new technology will let you use your voice as a passcode. 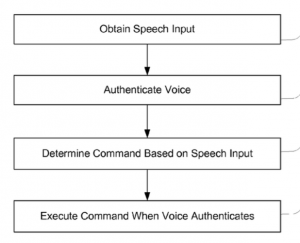 The speech input will be compared to your voiceprint to authenticate. Your voice samples will be collected and your voiceprint will be generated based on the one or more voice samples. If the authentication is successful, and your device will automatically be unlocked. If the authentication in unsuccessful, you will be asked to enter your passcode or use Touch ID. Such a system would certainly ease the process of unlocking iOS devices. Apple added voice training to Siri in iOS 9 to help Siri better recognize your voice. This patent credits Adam Cheyer as its inventor. Seriously? This is classed as “invention” and warrents a patent being granted? This voice command to processing devices has been around for decades in science fiction films.